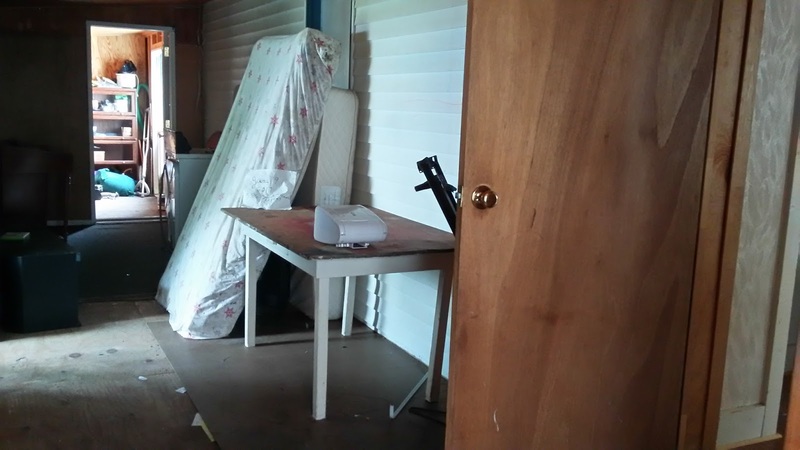 Around the beginning of June, after tenants moved out, I discovered that a door leading from the house to a shed, which I retain for storage, had been kicked in. 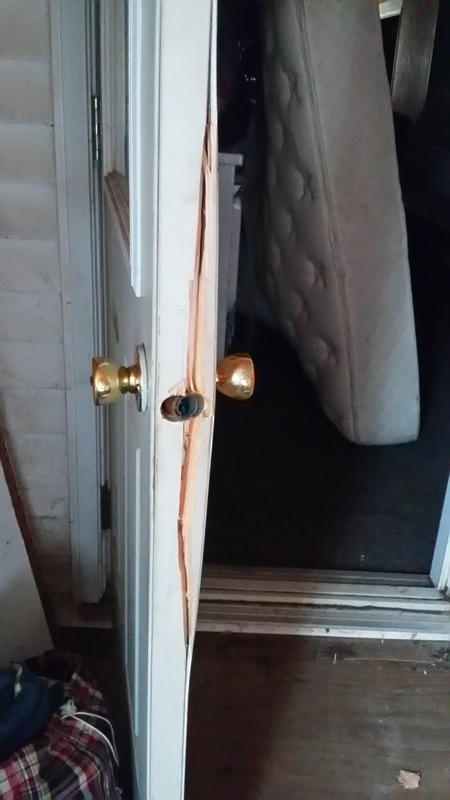 Nothing was taken, but my door was damaged beyond repair. There were witnesses who reported to me what they saw; however, the Madawaska police department failed to question these witnesses and closed the investigation. People in states that allow either recreational or medical marijuana use are going to face big problems from the new form 4473, which apparently makes it a crime to purchase a gun if you use marijuana. If marijuana users aren't allowed to purchase guns, doesn't that mean that if a marijuana user already owns one, he/she would have to dispose of it, or law enforcement could take it away? Here's a link to a Portland Press story about the new form 4473. Law-abiding citizens who turn in their guns, or don't purchase them because of this new question on the form 4473, will be helpless against the real criminals. Anyone can get a gun, whether it be through a friend, or through a failed background check as shown below. Pete had been labeled a felon, due to a conviction in 1981, but was still approved in 2003 to purchase a gun. From the U.S. Supreme Court decision Alden v. Maine, "the original understanding of the Constitution's structure and the terms of the tenth amendment confirm that states retained much of their sovereignty despite their agreeing that the national government would be supreme when exercising its enumerated powers." Tenth Amendment: "The powers not delegated to the United States by the Constitution, nor prohibited by it to the States, are reserved to the States respectively, or to the people." New Form 4473 says pot smokers cannot purchase guns! 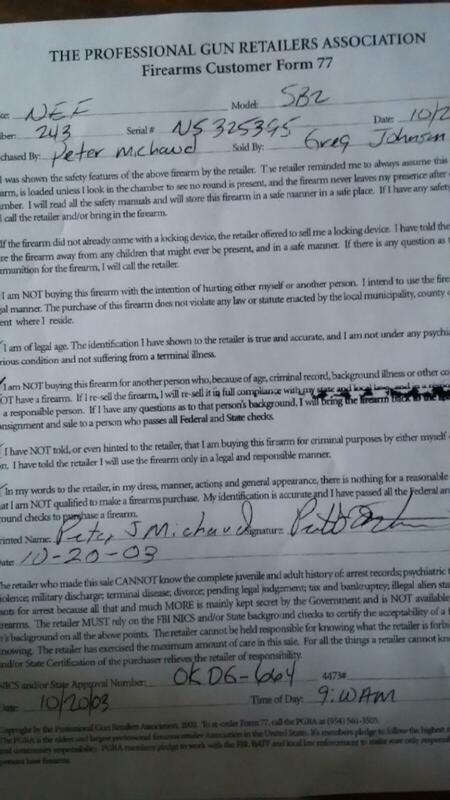 I was cleaning out paperwork and found a Form 4473, that Pete had filled out about 13 years ago at KMart; he had passed this background check and purchased a gun, there, and at other licensed gun dealers in Maine! Maine Game Wardens should never have seized OUR guns, purchased during OUR marriage. I had asked for Intervenor status as well as for there to be a hearing to challenge the search warrant...it's called a Frank's hearing. It was scheduled back in 2013, but I was never notified of the hearing date by the court, so I didn't appear. And since Pete had wanted to get things over with, and had agreed to a plea bargain, neither he or his attorney showed, and the motion was dismissed. When I was researching about the form 4473, I read that the new form has a question on it, 11.e., which asks the applicant about marijuana use. Despite that your state may have legalized it for recreational use, or even if you have been prescribed marijuana for medical use, you will not be able to legally purchase a gun. Here's a link to the form Firearms Transaction Record, that was revised in October of 2016 and has been in use since mid January 2017. I previously blogged about an employer who lied to the Maine Department of Labor regarding the reason I am no longer employed with him. 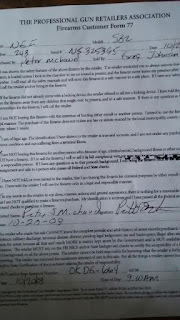 Well, I continue to try to get the Maine Department of Labor to reverse the decision denying me unemployment benefits. The latest decision came from the Unemployment Commission on January 31, 2017. It affirmed the decision of the Office of Administrative Hearings, which had affirmed the decision of the Bureau of Labor...or whatever. They're all birds of a feather, and they flock together, usually. You have 10 days to request a reconsideration, so I did that. Yesterday I received word from them: it was simply that my request was received. By the way, I have 180 days (so 6 months) from the date of the alleged violations of employment law, to file a complaint with the EEOC. That deadline will come around the end of March. The Equal Employment Opportunity Commission is taking public comments until March 21, 2017 regarding new guidance rules they apparently plan to put into place to help them in evaluation of complaints. There's a link in that article, to a 75 page report from the Office of Legal Counsel, as well as a link to a 2016 report on harassment in the workplace. Okay, I gotta go read those now. It's definitely relevant. Rules for filing petition in the Supreme Court of the United States. Rules, $300 fee to file . Unconstitutional? I think so. Apparently most states refund fees to defendants if their conviction is later overturned, but not Colorado. Here's some discussion on that. I'll have to do a bit more surfing; I don't know if the case was taken up by the justices or not. 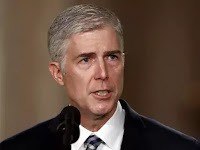 Gorsuch, Trump's nominee for the Supreme Court believes in separation of powers. You know, if it does exist, tell me why are Maine lawyers allowed to become legislators? What then does he have to say about the fact that many of our recent presidents have been lawyers? Have we reached the point of no return? Do politicians and government officials think that the public is so dumbed down or so complacent that we'll just ignore this? Let me explain. Just pretend that you bring your dog to the dog groomer for a haircut/grooming. He tells you that you should put your dog on a vitamin. You do that, and his hair grows at a ridiculous rate. So you end up having to go to the groomer more often. Well, when laws aren't clearly written (ambiguous), people end up in court where it's usually the case that they pay lawyers to represent them. So, you see ambiguous laws are the lawyer's bread and butter. Actually, there's been a lot of research and there's evidence showing the original 13th Amendment, was actually an amendment to keep lawyers (and others with titles of nobility) out of government. During the Civil War, records were lost, and it ended up that a new 13th amendment to end slavery is what replaced the original. Read more here. It does seem like our government is for sale. 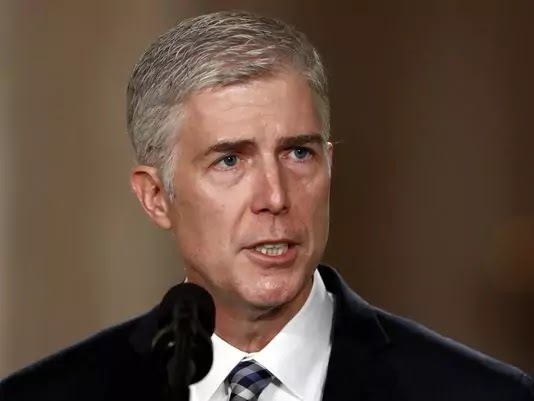 I don't know if I can handle Gorsuch being on the Supreme Court of the United States. 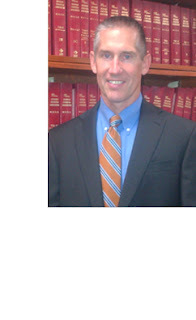 He looks too much like Judge Hal Stewart II. For two years I put up with it. I even offered to help my former employer, Wayne Marquis, of Van Buren Maine, improve relations between he and his employees. He has difficulty retaining good workers, and hires alot of people with criminal records; I don't have one, yet. I just like seasonal work because it allows me time during the year to get other things done. I manage our rental properties, doing cleaning, painting, evictions! So, here's what happened on Sept. 30, 2016. We were moving from one potato house to another during harvest. I was driving my car, with another employee with me in the passenger seat. Wayne was behind me in a pickup truck. I slowed down because I thought I had arrived at the road where the potato house was, but it was the wrong road. I sped back up. Wayne had not expected me to slow down. He hadn't realized I wasn't quite sure of the location which I'd only been to once before. The roads do look alike, in Saint David, on the river side, near Al's Auto. When we both arrived at the location, Wayne began hollering at me saying he almost bumped me. I bit my tongue and said nicely to him "I didn't realize you were following me so closely." He left, and I thought that was the end of it; but a few hours later, he returned just as furious as ever and started in on me again. Several co-workers witnessed this, and some said they would have quit. I didn't. I called Wayne the next morning at 7:10 a.m. and left a message telling him that we had to speak before I would return to work. I reached him later in the day, hoping for an apology...but no. When I tried to tell him that at least I had a license and a car to get to work, which most of his employees don't, he hung up. He texted me on my cell phone eventually asking for my time card. When I met him to give it to him, he made it clear that he was no longer going to employ me. Did I mention that there were no porta potties on the job site? Totally illegal. He knew. I told him that my co-worker hadn't gone all day, and that I had made him some lemonade. I couldn't hold it and used a cup to relieve myself at the back of the potato house while everyone was outside. Now have you ever heard of constructive discharge? When conditions of employment are so intolerable, you can quit a job, or be fired, and still collect unemployment, assuming you have earned enough in your quarters. I applied for unemployment, but was denied. From paperwork the Department of Labor sent me, I saw that Wayne had lied, stated that I quit for no good reason. I appealed, and he did call in for the interview. And he lied again. He told the interviewer that I was driving dangerously, and had cut him off. I told the interviewer that was a lie, and I asked "Where were you when I cut you off?" He answered "I was behind you". Also, he told the interviewer that because I had quit he had to hire someone to replace me immediately. That was another lie, for he had told me that since I was leaving he wouldn't have to lay off an employee who happened to be a minor child who would be returning to school after harvest break. I'm not sure his actual age, but definitely there were child labor laws being broken. The number of hours we were working was often 12 or more. Furthermore, Van Buren is a small town; I knew the girls he hired, and he did not hire them to replace me for potato harvest as he told the Dept of Labor, but for racking which was nearly a month later. But despite that, and despite that I told them about the lack of a porta potty, as well as Wayne's failure to provide gloves to rackers, the Department of Labor upheld the previous decision denying me benefits. I even told the interviewer about year 2015 potato harvest when Wayne had yelled at me for being late from lunch after I'd driven to Madawaska to use a restroom because again no porta potty was onsite. I did not return to harvest potatoes that fall, but I did go work in the racking facility all winter as I had in 2014. During the years I worked for Wayne, I often requested gloves, as the ones sold in stores nearby are not waterproof. The ordinary rubber gloves get holes in them within a week. The potatoes are wet, hands get cold when wet. The temperature in the potato house is probably no more than 60 degrees. Since I worked primarily with my right hand, and was always throwing out my left glove, I learned that if you take a left handed glove and turn it inside out you get a right handed glove. Wayne finally agreed to purchase nitrile gloves which I pointed out to him in a catalog he had. Yet after an order from that company came in and there were no gloves with it, he said we were almost done the season and he'd get some for next winter. Then we worked for two more months into June before we finished racking. And I recently spoke with an employee at Marquis Farms who said that Wayne has still not purchased gloves for the rackers, but another employee did order some, but they were not free, and not waterproof. Well, I've had about all I can take for blogging about this emotionally draining topic. There's more, like how he hired Mexican workers last winter to replace some of us...but it backfired on him. I will now have to appeal the latest decision denying me unemployment benefits to the Superior Court; and we know from the dismissal of my lawsuit against Ken and Deb Martin, that they are corrupt. Oh one more thing before I go, I discovered there is a name for what I and others are experiencing. It's called Legal Abuse Syndrome, and it's similar to Post Traumatic Stress Disorder. Under both state and federal laws, an employee who notifies an employer of illegal policies and practices in the workplace, and who is fired for doing so, is protected by what are called Whistleblower statutes. 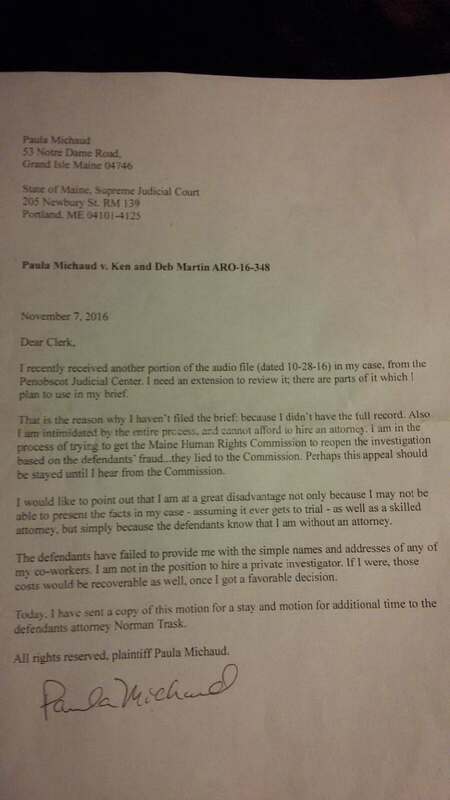 Well, after the Maine Human Rights Commission took two years to investigate, then dismissed my complaint against Ken and Deb Martin, I filed lawsuit in Superior Court of Aroostook County in December of 2013. My case was being presided over by Judge Hunter for the most part. Yes, he's the judge who imprisoned me. Read about it in the last paragraph of a former post of mine. 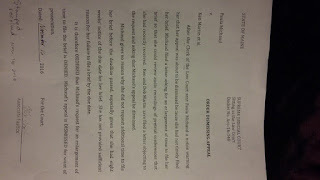 In a second order also issued July 20, Ellsworth attorney Steven A. Juskewitch was similarly sanctioned for his "repetitive improper conduct and inappropriate action" for communicating with a woman who was not his client, and who had no lawyer, in an effort to obtain her signature "on documents that would ultimately benefit his client..."
In that story, it's also mentioned that former Hancock County Assistant District Attorney William B. Entwisle of Sedgwick was sanctioned for actions "arising from his failure to turn over discovery materials to the defendants or their lawyers in two separate criminal cases he was prosecuting." A few years ago, I helped circulate a petition to Governor LePage calling for another Assistant D.A. from Hancock County, Mary Kellett, to be fired. According to this story on 10-31-16, Kellett is still practicing law in Maine. Vladek Filler, a man from Georgia, who used to live in Maine, and who was on the receiving end of Kellett's malicious prosecution, filed a lawsuit in federal court. The American Civil Liberties Union filed a "friend of the court" (aka amicus curaie) brief calling what she did a crime. I'd like to know how much Maine taxpayer money has been spent defending Mary Kellett, and the other 17 defendants named in Mr. Filler's case of denial of due process and fair trial. Kellett claims she has "absolute immunity". It's absolutely absurd. It wouldn't be the first time that a prosecutor twisted or withheld evidence in a case that ended in a wrongful conviction...anyone remember Dennis Dechaine? 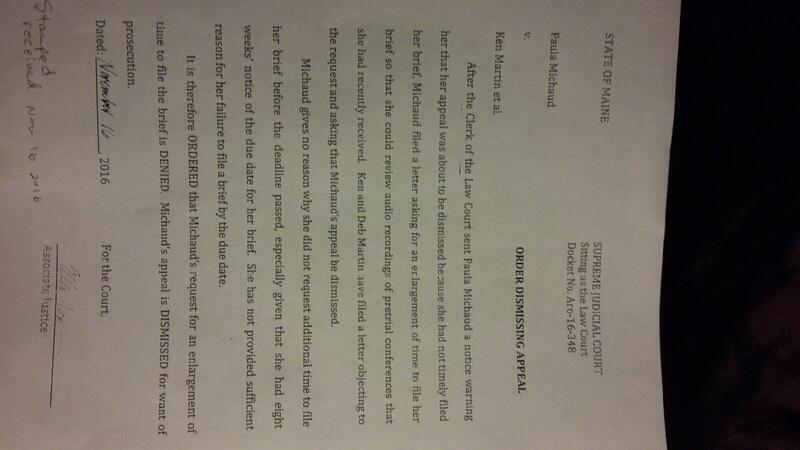 Well, getting back to my case against Ken and Deb Martin. I will start working on a petition to the Supreme Court. 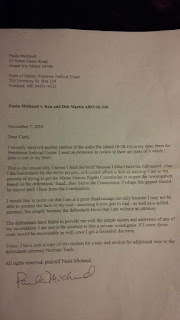 After the Superior Court dismissed my claim against the Martin's, I appealed to Supreme Court of Maine, which upheld Judge Stewart's dismissal of my complaint. The decision was signed by none other than Justice Ellen Gorman. She's the judge who ruled summarily (that means you get no trial because the judge believes you have no evidence and could never win), against us in a lawsuit several years ago in which my son had broken his arm but had been treated for a dislocated shoulder. That treatment displaced the fracture and he had to be transported to another hospital for emergency surgery. I previously blogged about this, in 2007. On my homepage, type in "Gorman" in the search bar at the top left corner of the screen and you'll bring it up...along with other unjust decisions she's made. Anyway, I have 90 days from the Maine Supreme Court's order on November 16, 2016 to file a cert petition, or at least put in a request for an extension. I plan on scanning some of the documents in my case and placing them on this website.